Nintendo has opened a Creators Program designed to ensure creators get a slice of ad revenue from videos featuring Nintendo assets, and some prominent YouTubers aren’t pleased with the company. “What Nintendo are missing out on completely is the free exposure and publicity that they get from YouTube,” wrote Felix Kjellberg (PewDiePie) on his blog. “What better way to sell or market a game, than from watching someone else (that you like) playing it and enjoying themselves? “I also think this is a slap in the face to the YouTube channels that focus on Nintendo games exclusively. [These] people, who have helped and showed passion for Nintendo’s community, are the ones left in the dirt the most. The Nintendo Creators Program will launch on May 27, but is currently in beta and taking registrations. This is Nintendo’s answer to the knotty question of YouTubers making money on videos featuring its assets – things like Let’s Plays and reviews. The platform holder can crack down on the practice entirely, issuing take downs on videos, or it can leave them in place but take all the cash for itself – but instead it’s hoping to share the wealth with users. 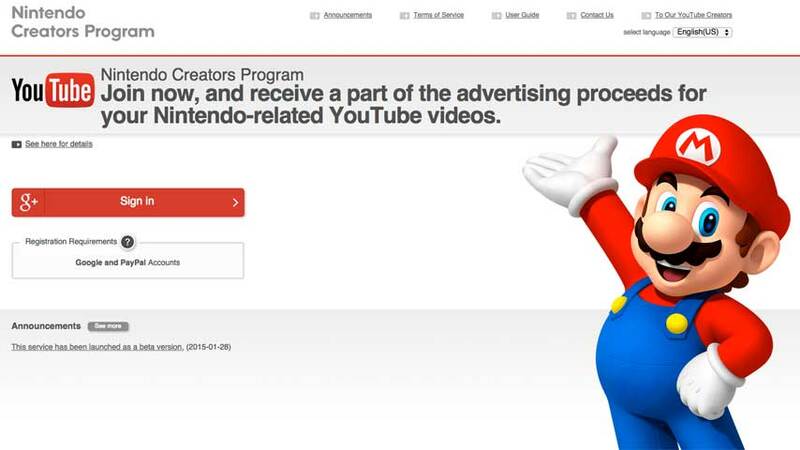 Building on the ground work laid by Nintendo’s affiliate scheme, the Creators Program allows you to nominate individual videos for a 60% slice of advertisement revenue, or entire channels for a 70% share. You need a Google and PayPal account to join, with payments calculated once a month and sent within the following two months. You can sign up for the program here. The scheme is likely to spark debate. Many other publishers have given users free rein to post whatever videos they like, and made no claim on the revenue so generated. It’s better than take downs though, I guess. Nintendo has released a new video for The Legend of Zelda: Majora’s Mask 3D, and it’s almost three minutes long. Enjoy. Majora’s Mask 3D arrives in stores alongside New 3DS XL in North America and Europe on February 13.